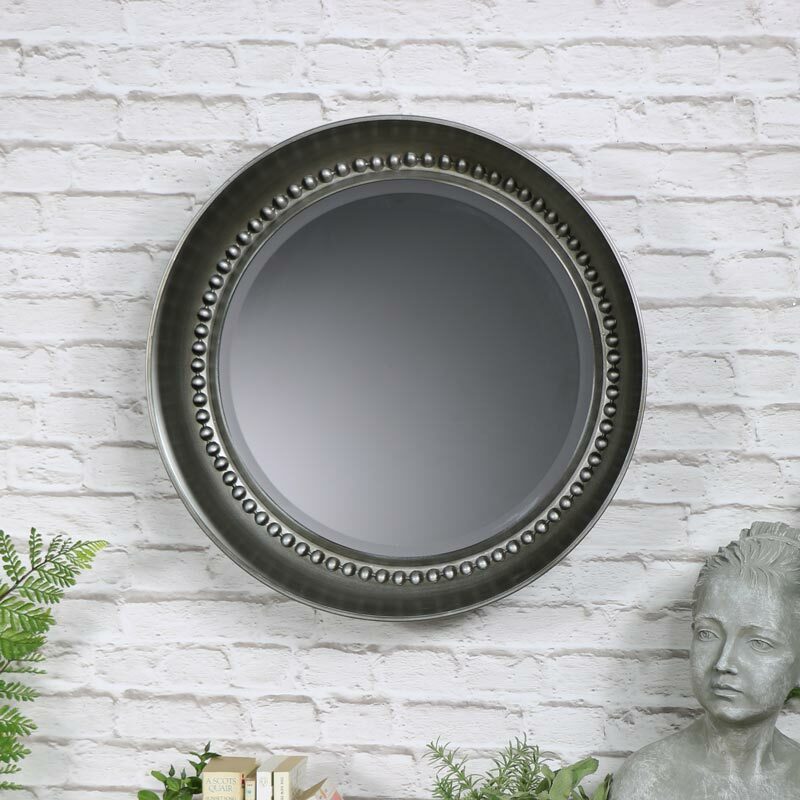 This antique bevelled silver beaded wall mirror is perfect for any hallway, living room or bedroom and adds a classic vintage look. 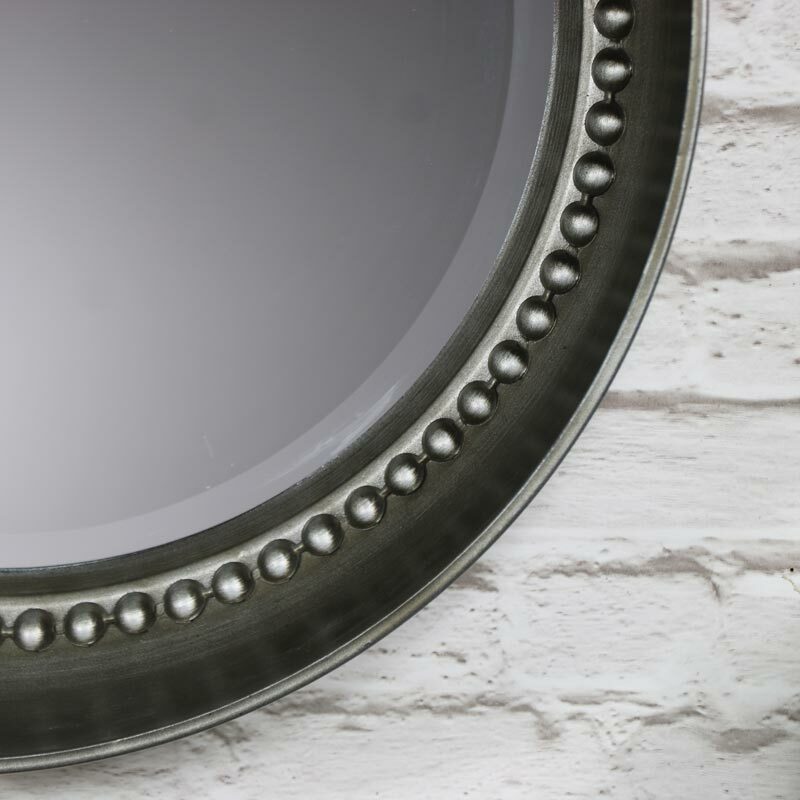 A striking ornate circular deep set beaded frame surrounds the bevelled mirror giving it a quirky dish style affect. 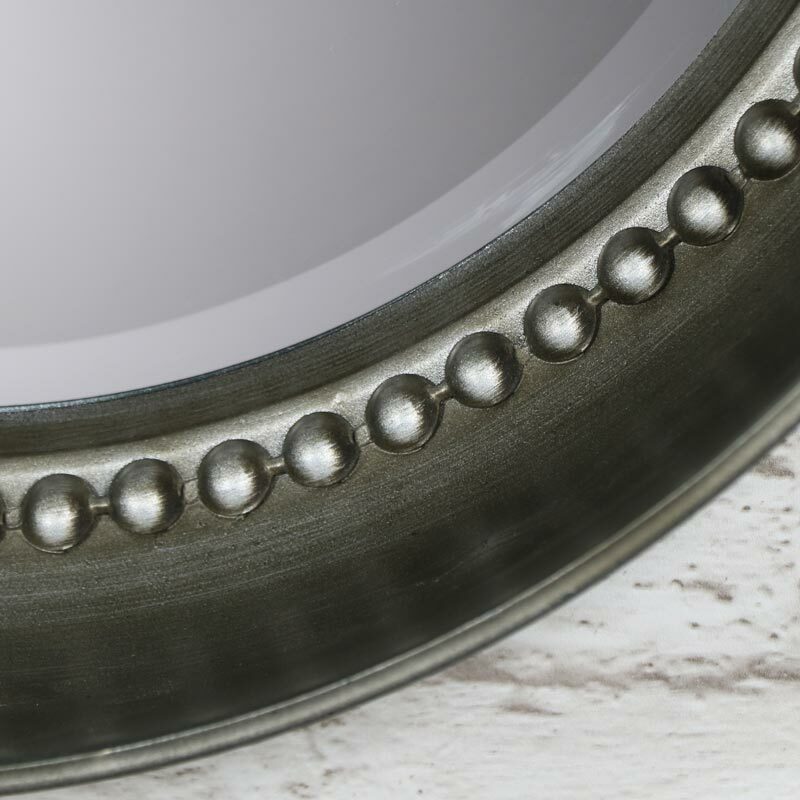 The frame is made from metal in an antique silver finish. Easily wall mounted with a hook on the back for hanging. With a larger version available you can easily find that eye catching focal point.